Sufism is a mystic and ascetic movement which originated in the Golden Age of Islam, from about the 9th to 10th centuries. Towards the end of the first millennium CE, a number of manuals began to be written summarizing the doctrines of Sufism and describing some typical Sufi practices. Two of the most notable are Kashf al-Mahjûb (Revelation of the Veiled) of Hujwiri, and Risâla (The Message) of Al-Qushayri. Two of Al Ghazali's greatest treatises, the "Revival of Religious Sciences" and the "Alchemy of Happiness," argued that Sufism originated from the Qur'an and was thus compatible with mainstream Islamic thought, and did not in any way contradict Islamic Law—being instead necessary to its complete fulfillment. This became the mainstream position among Islamic scholars for centuries, challenged only recently on the basis of selective use of a limited body of texts . Ongoing efforts by both traditionally trained Muslim scholars and Western academics are making Al-Ghazali's works available in English translation for the first time, allowing English-speaking readers to judge for themselves the compatibility of Islamic Law and Sufi doctrine. Sufi orders started appearing at the beginning of 12th century and have established strong links with the state apparatus since then. This connection became apparent when Sufis were actively encouraged by Sunni dynasties in their struggle against Ismaili Shia. Between the 13th and 16th centuries CE, Sufism produced a flourishing intellectual culture throughout the Islamic world, a "Golden Age" whose physical artifacts are still present. In many places, a lodge (known variously as a zaouia, khanqah, or tekke) would be endowed through a pious foundation in perpetuity (waqf) to provide a gathering place for Sufi adepts, as well as lodging for itinerant seekers of knowledge. The same system of endowments could also be used to pay for a complex of buildings, such as that surrounding the Süleymaniye Mosque in Istanbul, including a lodge for Sufi seekers, a hospice with kitchens where these seekers could serve the poor and/or complete a period of initiation, a library, and other structures. No important domain in the civilization of Islam remained unaffected by Sufism in this period. Sufism was an important factor in the historical spread of Islam, and in the creation of regional Islamic cultures, especially in Africa and Asia. Recent academic work on these topics has focused on the role of Sufism in creating and propagating the culture of the Ottoman world, including a study of the various branches of the Naqshbandi and Khalwati orders, and in resisting European imperialism in North Africa and South Asia. Turkic conquests in South Asia were accompanied by four Sufi mystics of the Chishtiyya order from Afghanistan: Moinuddin (d. 1233 in Ajmer), Qutbuddin (d. 1236 in Delhi), Nizamuddin (d.1335 in Delhi) and Fariduddin (d.1265 in Pakpattan now in Pakistan) . During the reign of Muhammad bin Tughluq, who spread the Delhi sultanate towards the south, the Chistiyya spread its roots all across India. 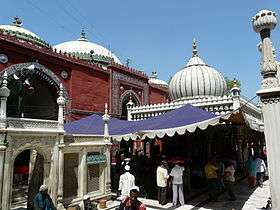 The Sufi shine at Ajmer in Rajasthan and Nizamuddin Auliya in Delhi, Ashraf Jahangir Semnani in Kichaucha Shariff belong to this order. The Suharawardi order was started by Abu al-Najib Suhrawardi, a Persian Sufi born in Sohrevard near Zanjan in Iran, and brought to India by Baha-ud-din Zakariya of Multan. The Suhrawardiyyah order of Sufism gained popularity in Bengal. In addition, the Suhrawardiyyah order, under the leadership of Abu Hafs Umar al-Suhrawardi (d. 1234), also bequeathed a number of teachings and institutions that were influential in shaping other order that emerged during later periods. The Khalwati order was founded by Umar al-Khalwati, an Azerbaijani Sufi known for undertaking long solitary retreats in the wilderness of Azerbaijan and northwestern Iran. While the Indian Subcontinent branches of the order did not survive into modern times, the order later spread into the Ottoman Empire and became influential there after it came under persecution by the rise of the Safavid Shahs during the sixteenth century. 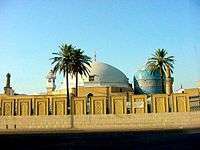 The Qadiriyyah order founded by Abdul Qadir Gilani whose tomb is at Baghdad. It is popular among the Muslims of South India. 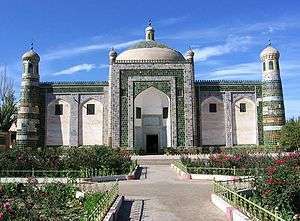 Baha-ud-Din Naqshband (1318-1389) of Turkestan founded Naqshbandi order of Sufism. Khwaja Razi-ud-Din Muhammad Baqi Billah whose tomb is in Delhi, introduced the Naqshbandi order in India. The essence of this order was insistence on rigid adherence to Sharia and nurturing love for the Prophet. It was patronized by the Mughal rulers, as its founder was their ancestral Pir (Spiritual guide). "The conquest of India by Babur in 1526 gave considerable impetus to the Naqshbandiyya order" . Its disciples remained loyal to the throne because of the common Turkic origin. With the royal patronage of most of the Mughal rulers, the Naqshbandi order caused the revival of Islam in its pure form. Beginning in the 9th century and continuing throughout the 10th century, al-Andalus was home to fairly strict, orthodox beliefs and practices. Quranic studies and jurisprudence (fiqh) were the accepted and promoted types of scholarship that shaped the region’s beliefs and practices. Early fuqaha in Spain were somewhat skeptical of philosophical thought as well as of Sufism. In later centuries, especially the twelfth and thirteenth, Sufism became more accepted and somewhat assimilated into Andalusi Islam. Scholars have generally seen this later flourishing in two different ways. For some, it reflects the influence of the mystical tradition in Cordoba attributed to Ibn Masarra. Others give exclusive credit to the influence of eastern mystics, most often including al-Ghazali's thoughts and teachings. One figure in particular has often been credited as being the earliest introduction of Sufism to Spain: Ibn Masarra. He lived from 883 to 931 and was born outside of Cordoba. Many consider him to have established the first Sufi school in the province; however, his teachings were outside of the so-called "mainstream" Sufism that was more common in the East during his lifetime. With Ibn Masarra there was a “brief flowering” of Sufism in Spain, and later Spanish Sufis reflected his influence on them. After Ibn Masarra’s death, in 940 his followers fell under heavy persecution under the jurists who destroyed Ibn Masarra's works and also forced his followers to recant. The effects of his thought and that of his disciples would appear again in the twelfth and thirteenth centuries amidst later Sufis such as Ibn Arabi. By the twelfth century, shifts towards the acceptance—or at least tolerance—of philosophy and Sufism into what had previously been strictly orthodox beliefs were occurring. Many people began to read and translate the works of philosophers such as Aristotle and Plato. At the forefront of the philosophical movement in Spain were Ibn Bajjah, Ibn Tufail, Ibn Rushd, and a Jewish scholar named Ibn Maimun. Ibn Tufail introduced the element of Sufism into this philosophical way of thinking. Andalusi Sufism was at its peak at this time. Also at this time, eastern Sufism was developing more as a communal movement, whereas that of the West (including in al-Andalus), it remained largely an individual pursuit. A group of Sufi masters who defended the works of theosophists such as Ghazali and al-Qushayri began emerging in the late eleventh and early- to mid-twelfth centuries. Abu l-‘Abbas ibn al-‘Arif (1088-1141) was one of the most prominent Sufis in Spain and one of the earliest ones during Sufism's peak in the peninsula. He belonged to what Spanish scholar of Islam, Miguel Asin Palacios, termed the "School of Almeria," so named for its geographical location. Ibn al-Arif was one of the first to interpret Ghazali in the West, and he also founded a method of spiritual training called tariqah. Ibn al-‘Arif's disciple Ibn Qasi set up a group of religious followers in Portugal and built a monastery in Silves. He authored the Khal al-Na’lain, which Ibn ‘Arabi would later write a commentary on. Ibn Barrajan (d. 1141), who a student and friend of Ibn al-‘Arif, lived and taught in Seville but was originally from North Africa, has been called the Ghazali of the West. Ibn Barrajan and Ibn al-‘Arif were both tried for heresy because their views conflicted with those of the Almoravids in power; however, Ibn Barrajan appears to have been more active in using Sufism as a means of challenging Quranic scholars and jurists. Ibn Arabi, another key figure of this period of Sufism in the region, was born in Murcia in 1165 at the beginning of the Almohad reign. He is one of the most important Sufis of Spain, although he--like many other Andalusi Sufis--would eventually leave the peninsula and travel throughout North Africa and the East. His works in Andalusia focused mainly on the perfect human individual, monastic metaphysics, and mystical path to spiritual and intellectual perfection. Central themes of Ibn 'Arabi's were the unity of all beings, or “wahdat al-wujud,” and also how God reflects God’s self in the world. According to Ibn ‘Arabi, the main practices of Andalusi Sufis included ascesis, poverty, and devotion to the Qur’an. Not long after the death of Ibn ‘Arabi, al-Andalus experienced a “spiritual aridity” in the mid-fourteenth century. The one exception to that trend was Ibn Abbad al-Rundi (1332-1390), a member of the Shadhiliyya order who was born in Ronda and whose scholarship brought together mystical and juridical paths. His work helped Sufism become more accepted within the Islamic sciences. Although Sufism would no longer directly be a part of Andalusi life after the Catholic Monarchs expelled Muslims from Spain, in the Spanish Christian mystics of the sixteenth century, such as San Juan de la Cruz and Teresa of Avila, many have seen Sufism’s lasting influence in Spain. Current Sufi orders include Ba 'Alawiyya, Chishti, Khalwati, Naqshbandi, Nimatullahi, Oveyssi, Qadria Noshahia, Qadiria Boutshishia, Qadiriyyah, Qalandariyya, Sarwari Qadiri, Shadhliyya and Suhrawardiyya. Sufism is popular in such African countries as Morocco and Senegal, where it is seen as a mystical expression of Islam. Sufism is traditional in Morocco but has seen a growing revival with the renewal of Sufism around contemporary spiritual teachers such as Sidi Hamza al Qadiri al Boutshishi. Mbacke suggests that one reason Sufism has taken hold in Senegal is because it can accommodate local beliefs and customs, which tend toward the mystical. Sufism suffered setbacks in North Africa during the colonial period; the life of the Algerian Sufi master Emir Abd al-Qadir is instructive in this regard. Notable as well are the lives of Amadou Bamba and Hajj Umar Tall in sub-Saharan Africa, and Sheikh Mansur Ushurma and Imam Shamil in the Caucasus region. In the 20th century some more modernist Muslims have called Sufism a superstitious religion that holds back Islamic achievement in the fields of science and technology. A number of western converts to Islam have also embraced Sufism, sometimes resulting in considerable syncretism or generic spiritualism detached from Islam, as in the case of "Universal Sufism" or the writings of René Guénon or G. I. Gurdjieff. One of the first to return to Europe as an official representative of a Sufi order, and with the specific purpose to spread Sufism in Western Europe, was the Ivan Aguéli. Other noteworthy Sufi teachers who were active in the West include Bawa Muhaiyaddeen, Inayat Khan, Nazim Al-Haqqani, Javad Nurbakhsh, Bulent Rauf, Irina Tweedie, Idries Shah and Muzaffer Ozak. Currently active Sufi academics and publishers include Llewellyn Vaughan-Lee, Nuh Ha Mim Keller, Abdullah Nooruddeen Durkee, Abdal Hakim Murad, Syed Waheed Ashraf and the Franco-Moroccan Faouzi Skali. ^ Titus, Murray T., Indian Islam, 1979, Page 117. ^ Markovitz, Claude (ed), A History of Modern India, Anthen Press, 2002, Page 30. ^ Contemporary Relevance of Sufism, 1993, published by Indian Council for Cultural Relations. Chopra, R. M., "SUFISM" (Origin,Growth,Eclipse,Resurgence), 2016, Anuradha Prakashan, New Delhi. ISBN 978-93-85083-52-5. ↑ The most recent version of the Risâla is the translation of Alexander Knysh, Al-Qushayri's Epistle on Sufism: Al-risala Al-qushayriyya Fi 'ilm Al-tasawwuf (ISBN 978-1859641866). Earlier translations include a partial version by Rabia Terri Harris (Sufi Book of Spiritual Ascent) and complete versions by Harris, and Barbara R. Von Schlegell. ↑ Several sections of the Revival of Religious Sciences have been published in translation by the Islamic Texts Society; see http://www.fonsvitae.com/sufism.html. The Alchemy of Happiness has been published in a complete translation by Claud Field (ISBN 978-0935782288), and presents the argument of the much larger Revival of Religious Sciences in summary form. ↑ Pinto, Paulo (2003). "Dangerous Liaisons: Sufism and the State in Syria" (PDF). IWM Junior Visiting Fellows' Conferences. XIV (1). Retrieved 21 July 2012. ↑ Victor Danner - "The Islamic Tradition: An introduction." Amity House. February 1988. ↑ For the pre-modern era, see Vincent J. Cornell, Realm of the Saint: Power and Authority in Moroccan Sufism, ISBN 978-0-292-71209-6; and for the colonial era, Knut Vikyr, Sufi and Scholar on the Desert Edge: Muhammad B. Oali Al-Sanusi and His Brotherhood, ISBN 978-0-8101-1226-1. ↑ Dina Le Gall, A Culture of Sufism: Naqshbandis in the Ottoman World, 1450-1700 , ISBN 978-0-7914-6245-4. 1 2 John J. Curry, The Transformation of Muslim Mystical Thought in the Ottoman Empire: The Rise of the Halveti Order, 1350-1650 , ISBN 978-0-7486-3923-6. ↑ Arthur F. Buehler, Sufi Heirs of the Prophet: The Indian Naqshbandiyya and the Rise of the Mediating Sufi Shaykh, ISBN 978-1-57003-783-2. 1 2 Trimingham, J. Spencer (1998). The Sufi Orders in Islam. New York: Oxford University Press. p. 46. ↑ Sarrano Ruano, Delfina (2006). "Why did the Scholars of al-Andalus distrust al-Ghazali? : Ibn Rushd's al-Jadd's Fatwa on Awliya-Allah.". Der Islam: Zeitschrift fur Geschichte und Kultur des islamischen Orients. 83 (1, 137-156): 152. ↑ Maribel Fierro, "The Polemic about the 'Karamat al-awaliya' and the Development of Sufism in al-Andalus," Bulletin of the School of Oriental and African Studies 55, no. 2 (1992), 236. ↑ Addas, Claude (1994) [909-936]. Salma Khadra Jayyusi, ed. The Legacy of Muslim Spain. Leiden: Brill. p. 911. ↑ Knysh, Alexander (2000). Islamic Mysticism : a Short History. Leiden: Brill. p. 113. ↑ Trimingham, J. Spencer (1998). The Sufi Orders in Islam. Leiden: Brill. p. 46. ↑ Knysh, Alexander (2000). Islamic Mysticism: a Short History. Leiden: Brill. p. 115. ↑ Urvoy, Dominique (1994) [849-877]. Salma Khadra Jayyusi, ed. The Legacy of Muslim Spain. Leiden: Brill. p. 855. 1 2 Mackeen, A.M. Mohamed (1971). "The Early History of Sufism in the Maghrib Prior to Al-Shadhili (d. 656/1258)". Journal of the American Oriental Society. 91 (3): 398–408. doi:10.2307/600258. ↑ Fierro, Maribel (1992). "The Polemic about the 'karamat al-awliya' and the Development of Sufism in al-Andalus (Fourth/Tenth-Fifth-Eleventh Centuries)". Bulletin of the School of Oriental and African Studies, University of London. 55 (2): 236–249. doi:10.1017/s0041977x00004596. ↑ Addas, Claude (1994) [909-936]. Salma Khadra Jayyusi, ed. The Legacy of Muslim Spain. Leiden: Brill. p. 910. ↑ Faure, A. (2013). "Ibn Barrad̲j̲ān". Encyclopaedia of Islam, Second Edition. Brill Online. ↑ Knysh, Alexander (2000). Islamic Mysticism: a Short History. Leiden: Brill. p. 164. ↑ Knysh, Alexander (2000). Islamic Mysticism: a Short History. Leiden: Brill. pp. 168–169. ↑ Trimingham, J. Spencer (1998). The Sufi Orders in Islam. New York: Oxford University Press. p. 84. ↑ Honerkamp, Kenneth L. (2009). Amina Gonzalez Costa and Gracia Lopez Anguita, ed. Historia del sufismo en al-Andalus: Maestros sufies de al-Andalus y el Magreb. Cordoba, Spain: Almuzara. pp. 143–164. ↑ Honerkamp, Kenneth L. (2009) [143-164]. Amina Gonzalez Costa and Gracia Lopez Anguita, ed. Historia del sufismo en al-Andalus: Maestros sufies de al-Andalus y el Magreb. Cordoba, Spain: Almuzara. pp. 145, 163. ↑ Sufism and Religious Brotherhoods in Senegal, Khadim Mbacke, translated from the French by Eric Ross and edited by John Hunwick. Princeton, N.J.: Markus Wiener, 2005. ↑ See in particular the biographical introduction to Michel Chodkiewicz, The Spiritual Writings of Amir Abd Al-Kader, ISBN 978-0-7914-2446-9. See Introduction in "Great Sufi Poets of The Punjab" by R M Chopra, 1999, Iran Society, Calcutta. Chopra, R. M., "SUFISM" (Origin, Growth, Eclipse, Resurgence), 2016, Anuradha Prakashan, New Delhi, ISBN 978-93-85083-52-5.